When embarking on a new career, it can be tough to decide exactly which of the many ultrasound technician schools you should choose. The below article aims to give you general advice about the types of courses available, how long they will take, how high a quality these are seen as by future employers and any prerequisites required. Combining this information should allow you to choose the best school and ultrasound technician program for you personally. This question can actually be quite hard to answer, due to the nature of sonography being a skilled technical job with many specializations, the training length varies greatly. In fact the total time can vary from 1 year to up to 4 years for a full bachelor’s degree. The most important thing for any course however, is that you make sure that it is accredited. It is also highly important that you check that it is not only the ultrasound technician schools that are accredited, but the actual course itself. Not only is it far easier to gain employment with an accredited course, but you will also find yourself getting paid at a higher rate, faster than if you are not accredited. Although accredited courses do generally cost more to enter, the advantages make this a great, worthwhile investment in your future. Generally the shorter 1-2 year courses are fast track vocational courses aimed to get you into employment and work as soon as possible. This is a great career choice if you want to enter a medical career but do not want to go through a typical 4-6 year educational course. The educational classroom based training is necessary due to the type of work a sonographer will be doing. As the images and decisions a sonographer takes are directly used in the diagnoses of patients it is of the upmost importance that they are trained to a high level. As mentioned previously the courses themselves can range from just 1 year up to 4 year courses. The courses can be studied both off and online, indeed the sheer number of places available to study diagnostic medical sonography shows what a great potential career it can be, and really shows the demand. The United States Bureau of Labor Statistics backs this up by expecting the number of job positions available in this area to rise by an astonishing 44% by 2020, showing this to be one of the fastest growing job positions in the country. The shorter courses aim to get people into work experience as fast as possible. These will start by training you in the real world techniques and principles that will be utilized after completion of the training. During this period the students choose a specialization within the course that they can concentrate on. This should be chosen based off what you individually enjoy and prefer, after all, it will impact on the rest of your life. The specialization will determine the students future training which will focus on the individual practicalities and nuances associated with scanning the specific region. These specialities are abdominal, breast, echocardiography, neurosonology, obstetrics/gynecology, ophthalmology and vascular. These parts of the course are more traditional lecture based environments inside the ultrasound technician schools, focused on basic principles, practices and theories. This then moves onto more real world based lab testing, where they get their hands on real machines and test cases. After significant training the courses move onto internships where the students are employed in hospitals or doctors’ practices. This is where the theory becomes reality and potential sonographers can practice under the watchful eye of a professional without being too worried about causing serious harm. If you are planning to enter an ultrasound technician training program and are still studying currently, there are some subjects you can take which can provide an advantage when seeking entry to a course. Sciences such as physics and biology provide obvious advantages to this industry, and can make your training much smoother if you already have a handle on parts of the body and medical terminology. Math is also a very important subject used frequently in this area, if your strengths do not lies in some of these areas then it is not a deal breaker by any means, however if you have confidence in yourself with regards to these topics, it will pay dividends later. Other prerequisites can come in the form of allied health program qualifications or certifications, and again these can make your learning curve more manageable when it comes to the actual training. In return for your time spent qualifying, you will receive a very satisfying job with great security even in the current times. The salaries themselves are also highly competitive, with averages varying from $50,000 to $88,490 annually depending on specialization and experience/qualifications. If you choose to enter a 4 year course you will see an even wider array of potential avenues for your career to go down and it provides a much more flexible approach when entering the job market. From the wide array of ultrasound technician schools available, we are sure you will find an accredited course from an accredited school that will provide you with the firm foundation you need to build a long lasting career. As always we like to go that extra mile and provide information across various mediums. Below we have 2 videos for you, the first is a video from an ultrasound school that provides an overview of the job as well as providing a short section showcasing the training you will undergo and the techniques they use to train you. 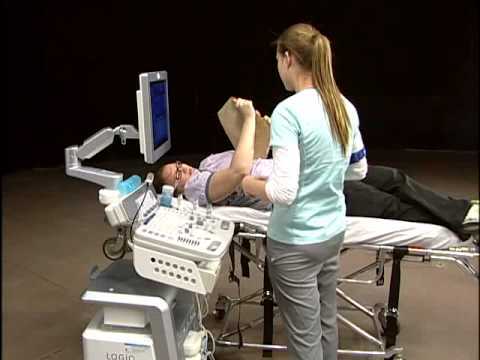 The 2nd video is a longer more detailed presentation from a school that provides in depth information about the structure of an ultrasound course and what students that partake in it the training program will achieve from it. There is also a demonstration of a regular ultrasound scan taking place and the process involved. If you found any of the information or videos on this page useful, please like us on Facebook, Google +1, Digg, Stumble and any other networks you may be part of! This really helps us get more exposure and provide useful advice to many other people just like you.